These positions are supported through the Young Canada Works Program. The position’s objectives are to assist in the maintenance and management of the Permanent Collection, with an emphasis on collections research as well as the cataloging of recent acquisitions. These duties include: assisting with the organization of storage space to improve access and use of space; processing new acquisitions into the collection; researching existing works in the collection to update their provenance; reviewing and updating information in the collection database; identifying works for deaccessioning; preparing an application to the Canadian Cultural Property Export Review Board; photographing artworks to update the collections catalogue. The Collections Assistant at the Art Gallery of Grande Prairie will support the Curator of Exhibitions and Collections in the research and organization of the Permanent Collection at the Art Gallery of Grande Prairie. The Collections Assistant will take part in a variety of collection and registration duties. 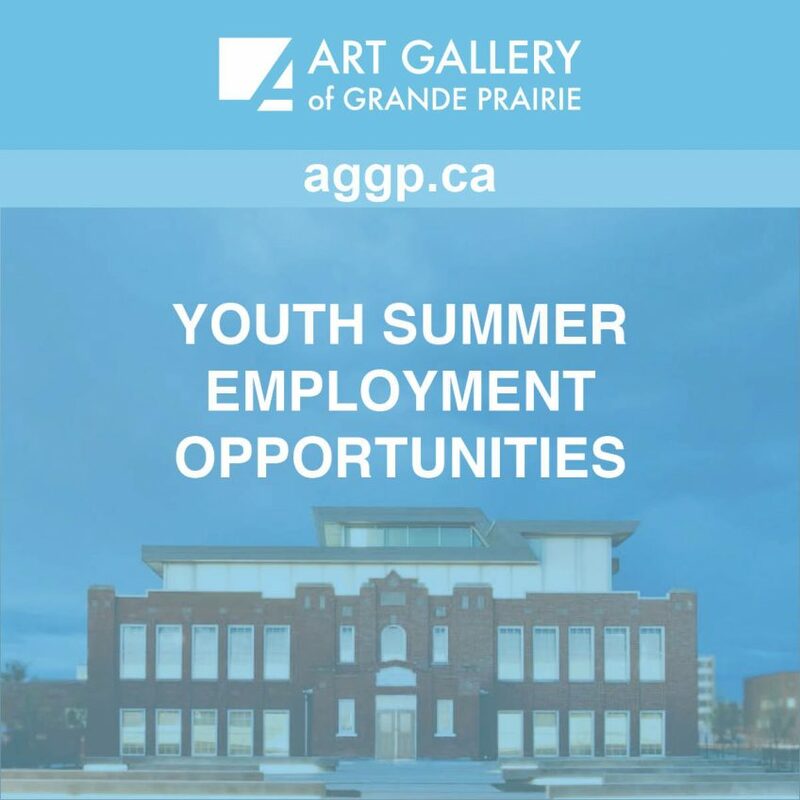 The Curatorial Assistant at the Art Gallery of Grande Prairie will support the Curator of Exhibitions and Collections (CEC) in the research and development of exhibitions and programs to be delivered during 2019. The Curatorial Assistant will participate in daily operations as part of the Exhibitions Team. This role includes assisting in the facilitation of two special projects including the Gallery’s first Artist in Residence program and curatorial programming for a dedicated resource/project space for the exhibition “Sonic Youth” (November, 2019) as well as regular programming for exhibitions. This student is to assist the Curator of Exhibitions and Collections to research grant opportunities, to prepare, install and promote exhibitions, to work with the Artist-in-Residence in organizing public workshops and events, to plan the Annual Art Auction fundraiser. Download a printable version of these opportunities.